Details: We are combining our traditional anniversary with the anniversary of our move to Historic Downtown Loveland this year with an epic 3+ days of fun! Fun starts on Wednesday, March 20, at Choice City Butcher & Deli with Slider Night and Verboten beer in Fort Collins. On Thursday, March 21, we will host our Anniversary Dinner, featuring a bottle giveaway, four courses of delicious food and more. Details coming soon. Friday, March 22, we will release our first Oak Aged Sour in over three years! This will be available on draft and in 12 oz. bottles. Finally, Saturday, March 23, we have a day of fun planned. We will have several draft releases throughout the day. Special tours available of our brewhouse, led by owners Jason Bowser and Josh Grenz (info. coming soon! ), cake, and music with Josh’s, Grenz n Frenz, band at 7 p.m.
Come celebrate 6 with us! 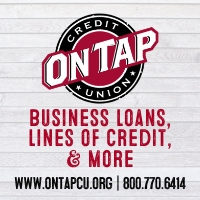 Details: Please join us during Colorado Craft Beer Week for Colorado Pint Day! From when we open until we run out, you’ll be able to purchase one of these super sweet collectible pint glasses for only $1 with purchase of a beer. This event benefits the Colorado Brewers Guild, and the glass was designed by nationally known artist Shaw Neilsen. Make sure to get here early, as we have sold out before Happy Hour the past two years. Support your local independent brewery during Colorado Craft Beer Week, and don’t miss out on this special glass! 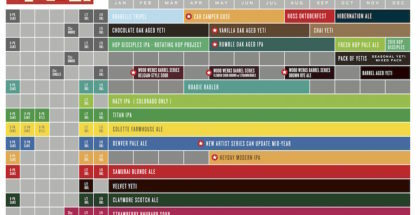 Details: We are excited to participate in Colorado Pint Day this year alongside the Colorado Brewers Guild and dozens of other Colorado breweries. 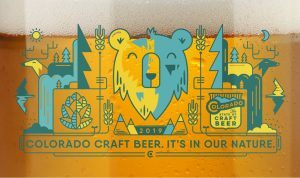 Acclaimed illustrator Shawn Nielsen created the custom-made glass for this year’s Pint Day, with the theme Colorado Craft Beer: It’s In Our Nature. Here’s the scoop: buy any beer at Station 26 on Wednesday, March 20, and receive the custom glass for just $1 more. The $1 from each pour is donated directly to the CBG, which works hard to represent all the breweries across Colorado. 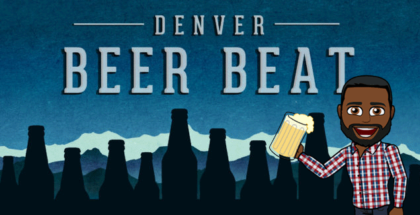 Come celebrate Colorado craft beer with us. Details: We are so excited to release this beer! 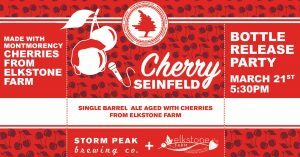 Over the summer, we teamed up with Elkstone Farm to make this amazing cherry sour ale with cherries that they harvested from their farm. We’ve been aging this beer in a single barrel, and now it’s ready! During its release, Community Agriculture Alliance will be hosting their Beer & Backyard Ag event. Elkstone farm manager, JR, will be speaking at this event about the process of collaborating with us to make Cherry Seinfeld. Come on out on Thursday at 5:30 to help us celebrate, beer, friends, and agriculture! 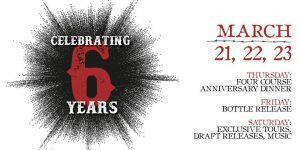 Details: Join us for our 6th Anniversary dinner. We will be partnering with Five Tables Cafe to create a very special beer pairing menu. The dinner will feature four courses: Course 1 will be passed apps and a social beer. Course 2 and 3 will each be paired with two beers. And Course 4 will feature a light dessert. Each attendee will be sent home with a Verboten gift bag that includes our March Oak Aged Special release: a 12 oz. bottle of a 3-year-old sour brown with cherries! We will only have 32 spots available for the dinner! Ticket price includes sales tax. Details: Ready for the extra weeks of spring skiing or boarding? $20 gets a pint of beer and a ski/board wax & light edge tune by Supreme Ski and Lenny’s Golf. 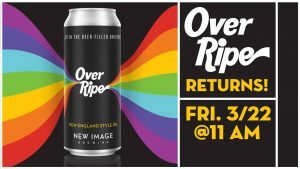 Details: Over Ripe NEIPA returns this Friday! Our collab with Ripe comes back just in time for their show at The Bluebird Theater on Sat. 3/23. Details: Our friends at Fiction Beer Company drove up to Greeley to brew a super juicy New England IPA collaboration for Collaboration Fest 2019 called Juice Loop. This is by far the juiciest and most fruit forward IPA we have made. When collaborating, we are often pulled toward like-minded people that share the same philosophy. Fiction embodies this with their creativity, admiration for the odd, and their bold approach to a wide selection of styles. Fiction has proved that their passion is backed with experience and knowledge, winning two medals at the Great American Beer Festival in the past three years, including a Bronze medal last year for Madame Psychosis, their Juicy Pale Ale. Juice Loop combines both of our base New England IPA recipes with attention to fruit forward experimental hops and soft mouthfeel. We will be releasing cans of Juice Loop to-go, along with Citradiculous, the citra little brother to Citradonklous, Key Lime County Fair Cobbler, a moderately tart Milkshake Sour IPA with puréed Key Limes, Graham Cracker, Cinnamon, Vanilla, and Lactose dry hopped with Mandarina Bavaria and Lemon Drop Hops next week, and Blueberry & Lemon County Fair Cobbler, a moderately tart Milkshake Sour IPA with puréed Blueberries and Lemons, Graham Cracker, Cinnamon, Vanilla, and Lactose dry hopped with Vic Secret hops. Details: Join us for our First Anniversary Party! Party Starts at 2 PM! We’ll have Piglatin Food Truck in the house from 4-8! Music will start at 5 pm with Dave Mensch! Who’s ready for the Tejon Street Corner Thieves to entertain us at 8 PM! We’ll be releasing a Double India Pale Ale to celebrate! Details: Our first ever bottle release, Túpac Amaru III is an “Imperial” Chicha aged in Buffalo Trace barrels with Palo Santo chips for a uniquely complex flavor. At 11% ABV, this is also our strongest Chicha to date. Highly limited quantities of bottles will be available for sale, and a single keg will be placed on tap. Bottles will be sold on first come, first served basis, with the exception of Secret Society members who have the opportunity to reserve bottles in advance. Cheese Love Grill will be here from 12-8PM. 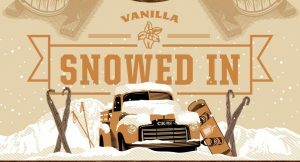 Details: Friday, March 22nd, come to Copper Kettle for our FIRST EVER Snowed In Vanilla installment. Only 60 cases were produced, so this one will go quick. We added Tahitian Vanilla to our 12.7% ABV Snowed In imperial oatmeal stout base and aged it in bourbon barrels, so it will go perfectly with basically ANY pastry, and particularly well with pineapple upside down cake, if you want to get tropical with it. 19oz cans + draught — but super limited so get in quick! Details: Come by and grab a bottle or six of our first ever bottle release! Eucatastrophe, an all malt, double mash Imperial Stout weighing in at 11.1% ABV. Aged in bourbon barrels, this beer has been a year in the making. Please join us when we open on Saturday, March 23rd for the Grand Opening of our new rooftop deck. With views of Sloan’s Lake, downtown Denver, Pike’s Peak, and the St. Anthony’s redevelopment, there isn’t a better view in town. We expect to be extremely busy that day, so plan to come early. Please note that our new rooftop will be 21+ and for humans only. The rooftop is also currently only accessible by stairs. If you’d like to reserve a spot on the roof that day, we are offering two opportunities to do so. From either noon-2pm or 4-6pm, you can reserve our Rooftop VIP area, which includes comfortable seating for up to 10 people. The VIP area has non-stop, clear access to a corner of the rooftop bar meaning VIPs never have to wait in line for service. The VIP area has a separate heater in case it’s a cooler day, and features a retro-themed seating area with a large corner-couch out of a 50s-era theater that has been reconditioned. ALL PROCEEDS FROM THESE AUCTIONS WILL BE DONATED TO THE International Myeloma Foundation (more info at myeloma.org). We have been working on this project for a very, very long time, and we are extremely excited to finally share it with you. See you on the 23rd. Details: Mark your calendars, friends, the WeldWerks Super-Time Great-Fun 4th Anniversary Get-Down is happening Saturday, March 23rd! We of course have always enjoyed our birthday bash, and while operations tended to run pretty smooth, we have never been a fan of the lines people were made to wait in, especially over the last couple years. So in an effort to reduce lines as drastically as possible, as well as make for a more robustly enjoyable experience for all involved, we have completely revised our approach and changed-over to a one-day uber-party that also helps to celebrate the recent land purchase! To help accommodate what we hope will be a larger number of folks, we are extending our liquor license out to the parking lot and utilizing a huge 40′ x 80′ tent that is also heated in case of inclement weather. We will have a 9-tap draft trailer outside and will do to-go’s out of the south-facing bay door in an attempt to significantly cut-down on waiting times for all. As always, we will have food trucks and special tappings, but we additionally wanted to officially announce the release of…….BARREL-AGED BARLEYWINES. We will be releasing two different variants of our first ever barrel-aged Barleywine during our 4th Anniversary celebration. The base beer is an English Barleywine brewed with pale malt, four different crystal malts, and raw cane sugar, with an extended boil and fermented with British Ale yeast. **PLEASE NOTE: limits are subject to change based on final yield. This version was aged for 18 months in Woodford Reserve® Double Oaked bourbon barrels, which are deeply toasted and lightly charred virgin oak barrels used to re-barrel mature Woodford Reserve Distiller’s Select straight bourbon for a little less than a year, imparting notes of toasted coconut, vanilla, dried cherries, and sweet tobacco. Rye Whiskey Barleywine was aged for 15 months in 10 year-old American oak barrels used to age 100% rye whiskey, imparting notes of butterscotch, vanilla, black cherries, allspice, and citrus. Bottles will be available for $26 each, with a limit of 2 per person for Double Oaked and limit 2 per person for Rye Whiskey. Bottle sales, which are non-ticketed, will start at 11 am on Saturday, March 23 and bottles will only be available for purchase from the to-go station at the south garage door, along with all other to-go sales. We will be using ID scanning software to enforce limits. 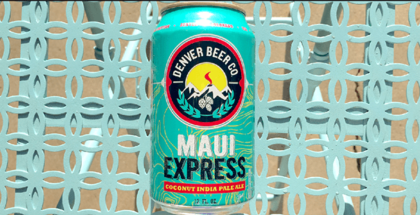 Details: Try our latest Limited release first at the Fort Collins Taproom! Hammer Chain is a different kind of Double IPA. Named after the spinning blades of our custom-built machine that pulverizes each whole-flower hop, Hammer Chain is brewed with meticulously sourced, vibrant American hop varieties and packed with notes of drippy tropical fruit, radiant peach, and sweet stone fruit. Details: Join us for our official Grand Opening! We’re thrilled to be the newest members of the Lakewood community and look forward to serving our friends and neighbors for years to come. Gator Mountain will be providing the live music! is a collaboration with the innovative and creative folks at Wiley Roots Brewing Company. Wiley Roots has won FOUR medals at The Great American Beer Festival—proof that they produce some the best beers in the country. Although their focus is on mixed-culture, barrel aged and spontaneous beers, they make killer New England Style IPAs. We jumped at the chance to combine our knowledge of the style to create a super juicy version using Experimental Hops 06300 and 06297 (Lotus). Oh, and on the label: that’s Ryan Kilpatrick (Fiction Beer Company Co-owner & Brewer) and Kyle Carbaugh (Co-owner and Head Brewer of Wiley Roots). ‘Juice Loop’ combines both of our base New England IPA recipes with attention to fruit forward experimental hops and soft mouthfeel. The result is a beer with unique tropical melon aroma and flavor. Notes of citrus, soft mouthfeel and a bright finish. Available on draft and to-go ONLY IN OUR TAPROOM and at Wiley Roots Brewing. 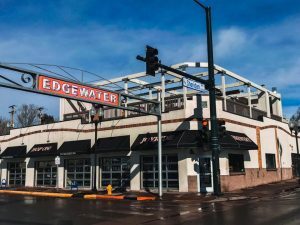 Details: The Colorado Brewers Guild has partnered with PorchDrinking.com and Denver’s Union Station to launch the debut of The Big Reveal, taking place on Saturday, March 23, 2019, during the 2019 Colorado Craft Beer Week. Tickets are on sale NOW! 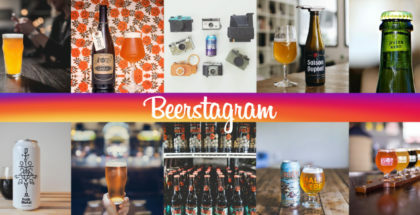 This intimate, elevated beer tasting event aims to celebrate Colorado’s best of the best within a specific style category, by taking brand recognition out of the equation in the form a blind tasting. 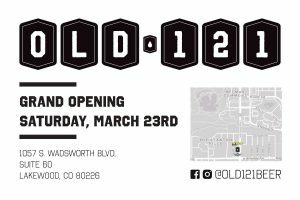 For this inaugural edition of The Big Reveal, attendees will be given approximately two hours to “blindly” sample and vote on 20 of the best traditional American IPAs brewed in Colorado. That means attendees will have no idea what 20 beers they will be tasting, or what breweries they are from. 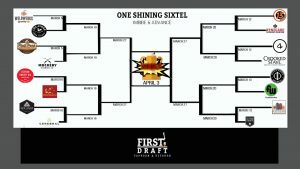 However, after votes have been placed and counted, we will reveal all 20 breweries and award the top three IPA’s voted on by attendees and crown the best American IPA in Colorado and attendees will have another hour to sample the best of the best.